Monday, October 7 is Dictionary Day for third graders from Piscataquis Community Elementary School! Some sixty kids and their teachers will descend on the Grange Hall at 1 PM to learn some history, a few things about the Grange, and some basic dictionary skills they’ll need to use the dictionaries they’ll receive compliments of Valley Grange. This project is designed to aid third grade teachers with their goal to see all their students leave at the end of the year as good writers, active readers, and creative thinkers. 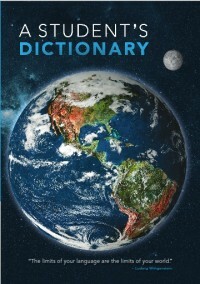 This is Valley Grange’s 13th year of providing dictionaries with well over 1,000 dictionaries being distributed to date. The program currently covers three school districts. Piscataquis Community Elementary School in Guilford, SeDoMoCha Elementary in Dover Foxcroft, and Brownville and Milo Elementary School Dictionary Days will be scheduled soon. Funding in for the project comes in part from the Valley Grange annual “Meat or Heat” Raffle conducted every fall. Tickets are $1 each (six for $5) with three cash prizes ($100, $50, and $25) winners can apply to their meat or heat bill. Tickets are available from all Valley Grange members and at all Grange Events from now until the drawing on November 23rd when we gather for our Harvest Dinner and Country Music Festival. Karen’s Kolumn is written by Karen Dolley, R.N. and Grange Friend… we appreciate her knowledge and her willingness to share! Because this topic is especially timely and important, we are repeating a previous column… All adults (including school volunteers and Bookworms) have an opportunity and responsibility to be sensitive regarding this issue! For more information, visit www.maine.gov/education/bullyingprevention ,www.cdc.gov/violenceprevention, and http://www.education.com.